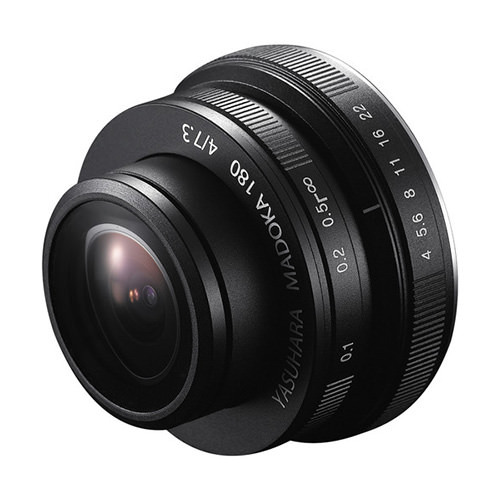 Lens Description: The Madoka 180 Fisheye Lens for Sony E Mount from Yasuhara is a 7.3mm circular fisheye lens specifically designed for Sony NEX E-mount cameras. Called the Madoka, which means round in old Japanese, the lens offers a 180º angle of view and is the first compact mirrorless camera lens to provide circular fisheye images. The lens itself is very compact and fits well on even the smallest of the NEX cameras, maintaining their portable nature. Yasuhara is developing software that will seamlessly convert this lens' circular images into a square format image with the angular distortion removed, if this is what you desire. The Madoka 180 lens offers a great opportunity to explore the creative possibilities of wide angle shooting with Sony NEX mirrorless cameras.